A single day of hiking in the Andes will surely create indelible memoriesâ€”9 days may change you forever. Our adventure begins and ends in Cusco, a center of ancient culture, exploring the Inca and Spanish colonial riches in and around the city. After a few day hikes to acclimatize to the altitude, we’ll begin our trek along the Salkantay Inca Trail, the road less traveled to the lost city of the Incas. 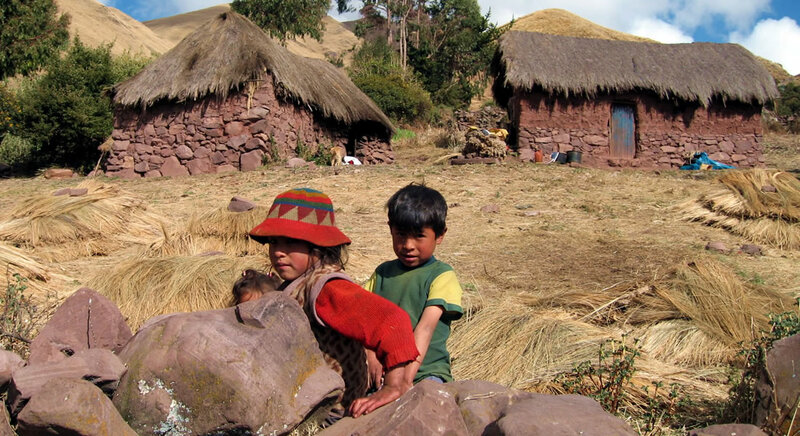 Here we’ll experience the local Quechuan culture, learning about traditional culinary and farming practices that have existed for centuries in these remote mountain valleys. Our route winds through the Cordillera Vilcabamba, a spectacular Andean mountain range, before plunging into green, forested canyons. See why the majestic peaks, with their emerald-colored glacial lakes, inspired awe among the local people, who consider them gods. At night, retire to luxurious mountain lodges to sip a pisco sour by the fire, soak in a scenic outdoor Jacuzzi, and enjoy gourmet meals prepared by your lodge chef. Finally, our Salkantay Inca Trail Trek culminates as any trip to Peru should: with a visit to the famed, lost city of Machu Picchu. After a group lunch and brief orientation, we begin our exploration of the land of the Incas in the city of Cusco (11,150), whose name is taken from the Quechua word for naval or center. Here, dramatic Spanish colonial architecture blends with solid Inca masonry in a harmony belying the areas tumultuous history. Beautiful cathedrals abound, often built directly on top of ancient Inca temples. The juxtaposition of pagan and Christian art and architecture is fascinating. After exploring the center of Cusco, we drive to the surrounding countryside for a walk on the grounds of the impressive site of Sacsayhuaman, where we encounter our first example of the huge boulders the Incas used in building temples and fortresses. The stonework of the Incas is unsurpassed by that of any other culture. Massive rocks were painstakingly ground to fit so perfectly together that no mortar was needed, and many walls have remained for over 500 years in spite of tremors that sometimes occur in the area. It is mind-boggling to think of the work that went into producing these temples and fortresses. 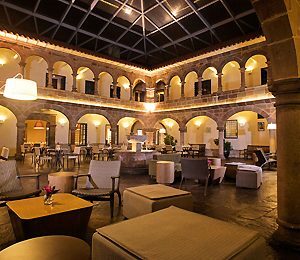 After visiting the city, well have some time to relax and freshen up at our authentic 16th-century Cusco hotel. Hotel Novotel offers colonial style melded with modern comforts, a beautiful courtyard, authentic cuisine, and welcoming staff. This evening, your guide will accompany you to a short briefing with your trekking guide and group at a nearby hotel before dining at one of our favorite restaurants while enjoying traditional music. 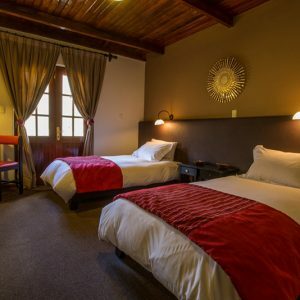 Built to incorporate an early 16th century house, this well-located hotel in the heart of historic Cusco showcases the exceptional style of colonial architecture, and is the perfect base for exploring this historic city and the surrounding area. Featuring colonial architecture, a central courtyard and spacious rooms. Sip a complimentary coca tea in the patio and savor the international fine cuisine of the hotel’s restaurant amidst the fine hospitality of the staff. This morning after an early breakfast, well take a private transfer west (about 1.5 hours) toward the Quechan town of Limatambo. Along the way, well take a short break to visit the Inca ruins of Tarawasi, a ceremonial center that serves as the resting place of the famed Inca chasquis, or runners, who delivered messages over long distances. The sites retaining wall is still intact, and known for its 28, human-sized niches and interlocking stones. After leaving Limatambo, we pass through the mountain village of Mollepata, where well stop for a short coffee break and opportunity to experience the villages bustlng local weekly market. From here, our drive continues for 30 minutes along a winding mountain road to a place called Marcoccasa, the base for our trek today toward Soraypampa and Salkantay Lodge. 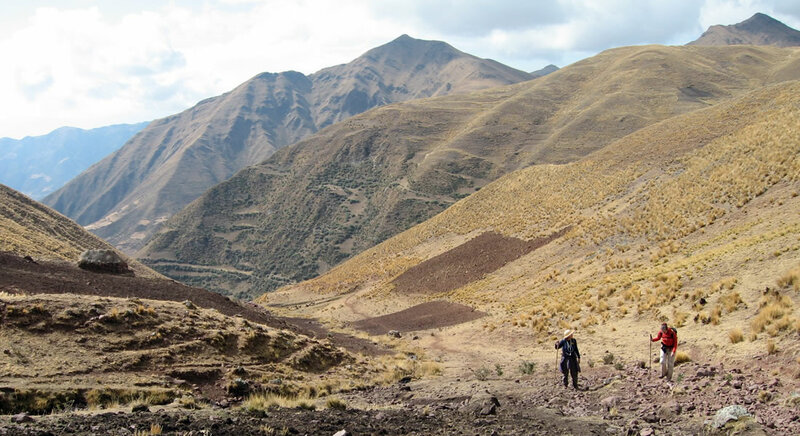 Our wide, rocky path follows an old route known as the Camino Real(the Royal Path), and offers the opportunity to further acclimatize while enjoying the rugged yet beautiful scenery of the Andes. Well enjoy a trailside picnic lunch before continuing towards the majestic Mt. Humantay, which towers over Salkantay Lodge. Here, well receive a warm welcome with local tea and snacks from the friendly staff of our home for the next two nights. The lodge takes its name from the majestic peak at the head of the valley, Mount Salkantay, one of the most sacred mountains in Inca mythology and, at 20,600 feet, the highest in the region. After check-in, we have time to settle into our rooms and explore our new haven. This evening, our guide will hold a briefing by the fireplace for tomorrows hike, after which well enjoy a delicious Peruvian dinner at our cozy mountain lodge. Situated at the foot of Humantay Peak, this 12-room lodge also features a dining room with views overlooking Salkantay Peak rising in the distance up the valley. Our acclimatization hike today takes place on the slopes above Salkantay Lodge. Here our trail turns toward Lake Humantay, a crystal clear green gem surrounded by towering Andean peaks. The lake is fed by the hanging glaciers of Mount Humantay, and the views of the surrounding area are breathtaking. Those who are feeling brave enough may even choose to go for a dip. Well return to the lodge for lunch and the rest of the afternoon is at leisure. You may wish to forego your icy glacial swim in favor of a relaxing soak in the lodges scenic outdoor hot tub or a steam in the sauna lined with eucalyptus leaves. This evening, well spend another night at Salkantay Lodge, enjoying a gourmet dinner and warm, comfortable beds. Before turning in, our guide will brief us on our gear and trekking itinerary for the following day. Get ready to lace up your hiking boots this morning to tackle one of the biggest days of our trek. After an early breakfast, we'll hike up the Rio Blanco valley, circling Humantay Peak across from Salkantay Peak. The hike is challenging, but the reward is well worth the effort as we reach the top of the Salkantay Pass and take in the Vilcabamba Range's snow-capped peaks, stretching out in every direction. This is the highest point on the trek at 15,213 feet and the views are exceptional. Here, we'll stop for a rest, keeping our eyes peeled for Andean condors, which are often sighted from here. These gigantic birds have a wingspan of more than 10 feet, and an average lifespan of 70 years. From the top of the pass, we descend towards today's destination, Wayra Lodge, breaking for a hot picnic lunch along the way. 'Wayra', meaning 'wind', comes from the lodge's location at 'Wayracmachay' - the cave where the wind lives. This evening, we'll celebrate our accomplishment with a hearty dinner and overnight at our well-appointed stone mountain lodge. 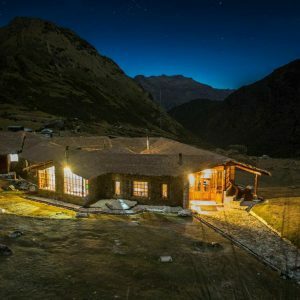 At the highest elevation of the lodges at 12,812′, Wayra Lodge is a beautiful stone lodge nestled in the foothills of Salkantay Peak on the other side of the pass. Today we enjoy a leisurely breakfast at Wayra Lodge before continuing our descent through increasingly verdant scenery along the left bank of the Salkantay River. We can feel the warm air rising from the jungle, accompanied by colorful butterflies and striking orchids. Upon arrival at Colpa Lodge, we are greeted with a Pachamanca, a traditional festive Peruvian meal cooked by layering meat and vegetables with hot stones. Everything is then covered with more hot stones, plantain leaves, high Andean grass and local herbs before being baked in an underground oven. A truly delicious welcome! Colpa Lodge is located on an open plateau at the confluence of three rivers and the outdoor hot tub has panoramic views of the surrounding lush green mountains. We spend the afternoon relaxing or exploring the nearby orchid trail. The lodges chef will nourish us well for tomorrows full day of hiking with more Peruvian specialties. The cloudforest surrounds Colpa Lodge, perched in a hillside overlooking the breathtaking Santa Teresa Valley. Our hike today takes us along the Santa Teresa river valley, through a more populated rural area. Here well pass through banana, granadilla, and avocado orchards, as well as shade-grown coffee plantationsincluding one farm said to produce one of the best organic coffees in the world. There are more than 110,000 coffee growers in Peru, most operating small farms of just 2-3 hectares (5-7 acres) each, hours away from electricity or running water. This afternoon, well stop for a hot picnic lunch served by the river. Afterwards, we hike another hour before being met by our private vehicle. 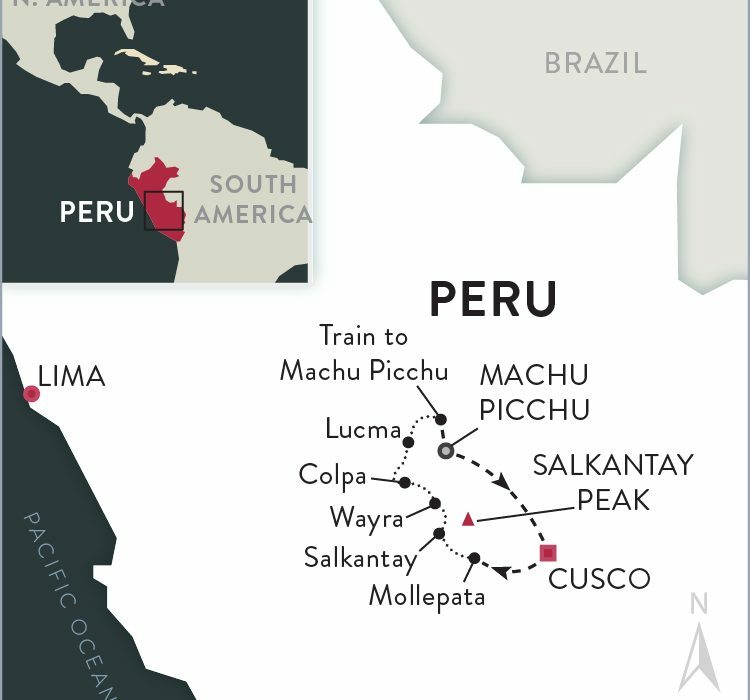 From here, well take a short, 30-minute drive to the beginning of the Llactapata Inca Trail. This newly restored path leads directly to our lodge for the night, Lucma Lodge, set in an avocado orchard. Along the way, we stop to visit an organic coffee plantation where well join the owner on a short tour of the farm, learning how coffee is grown, harvested, dried and processed. Tonight, we overnight at our comfortable lodge, built into the mountainside of a protected archeological reserve. 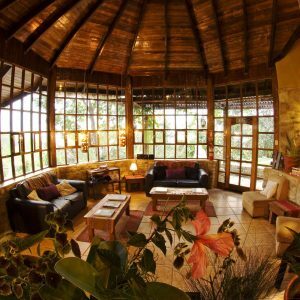 Located at lowest elevation of the lodges, Lucma Lodge is situated in a subtropical environment amidst banana, avocado, and coffee plantations. After a hearty breakfast, we tackle the last day of our trek, bound for the Llactapata Pass (8,974 ft). An uphill climb of about 2-3 hours brings us to a point where we can get a distant but spectacular view of the Machu Picchu Sanctuary from the southeasta sight few travelers ever get a chance to admire. While nearby, well take a short break to explore the archeological ruins of Llactapata, which have been recently restored. Rediscovered by Hiram Bingham in 1912, the site was the source of further study in 2003, when it was determined to have been an important rest stop and roadside shrine along the route to Machu Picchu, likely playing an important ceremonial role during solstices or equinoxes. Well break for lunch at a scenic viewpoint overlooking Machu Picchu, after which we begin our final descent to the Aobamba River. Along the way, well pass through lush bamboo forests, fruit and avocado orchards, and coffee plantations before boarding a local train for a scenic ride (approximately 1 hour) to Aguas Calientes, the base town for Machu Picchu. 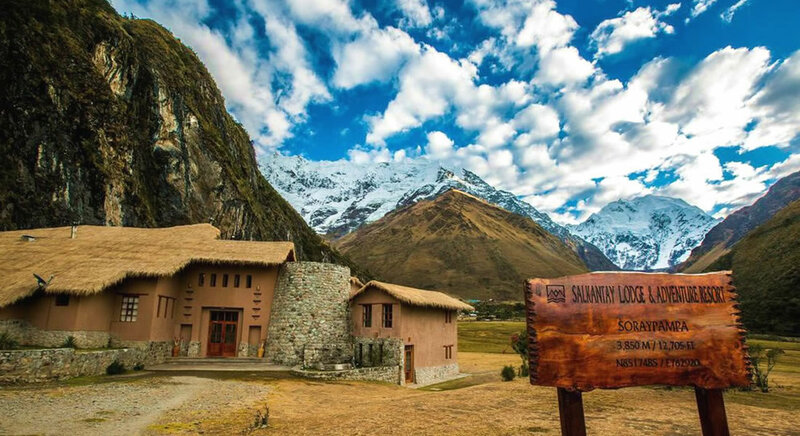 Upon arrival, well check into our award-winning hotel for one final briefing before our celebratory dinner at the lodge, where well raise a glass to our journey together and the completion of this spectacular Salkantay Trek. This highest rated hotel in the Machu Picchu region (Travel + Leisure, "World’s Best Hotels") offers Andean-style individual bungalows in a quiet riverside spot in the town of Machu Picchu Pueblo. This acclaimed hotel is renowned for its progressive sustainability programs, featuring an impressive tropical garden showcasing a wide variety of native plant species, stone paths, and canals flowing with spring water, creating a special atmosphere. Enjoy the spa services, including a eucalyptus sauna, and excellent restaurant overlooking the rushing Vilcanota River. After a very early buffet breakfast at the hotel, we make our way to the bus station for a short transfer (30 minutes) to the Machu Picchu Sanctuary. Our trip leader will give us an introductory two-hour guided tour, detailing the Incan citadel?s history from its 15th century construction to eventual abandonment. Like other examples of Inca construction, Machu Picchu utilizes sophisticated dry-stone wall techniques that fuse huge blocks without the use of mortar. The site?s buildings are arranged to play on astronomical alignments and to offer panoramic views of the Urubamba River Valley, though its exact former use still remains a mystery. For those looking for a more physical challenge, we have the option of climbing the staircases of one of two nearby mountains, Huayna Picchu or Machu Picchu Mountain (determined by permit availability). 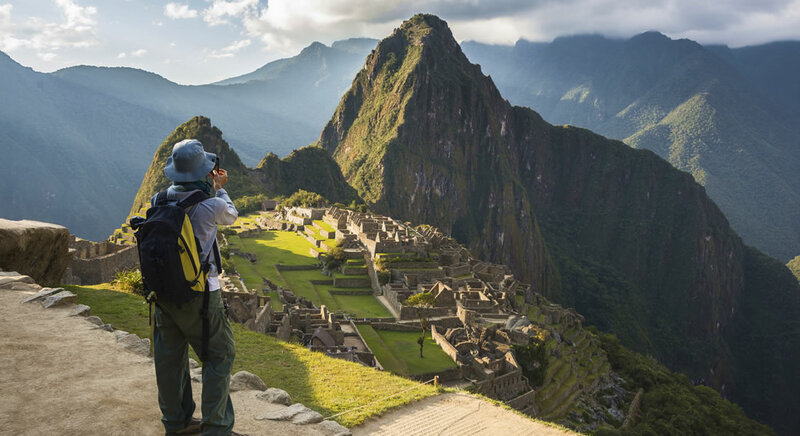 Both are steep and vertically challenging hikes that take two to four hours, but afford great views of Machu Picchu. (Your guides will brief you with details.) After the hike, we'll meet up with our guide again and return by bus to Aguas Calientes for a late lunch before returning by train to Cusco. The train ride from Aguas Calientes to Ollantaytambo and private vehicle transfer back to Cusco takes about three hours. Upon arrival in the city, you will be returned to the comforts of the Hotel Novotel, and a relaxing final evening in Peru at your leisure. The trip concludes after breakfast and transfers are provided to the Cusco airport in time for departing flights. Boundless Journeys' trips are designed for energetic and flexible individuals who like to be active and have a spirit of adventure and a positive attitude. Peru: Lodge to Lodge Salkantay Trek is rated 4+, moderate to strenuous, on a scale of 1-5 (with 5 being the most strenuous). The moderate acclimatization hikes on this trip are 3-5 hours at 11,150-13,625' on Days 1-3, with vehicle support on Days 1 and 2. During the trek (Day 4-7) we will have no vehicle support. The hikes during this time are more strenuous due primarily to altitude through Day 5 (9,414'-15,213') combined with overall length (5-7 hours per day). The trails are generally in good condition, with some loose rocks, mostly gentle ascents and descents, with some steeper sections. We strongly recommend arriving a day early to have more time to acclimatize to Cusco's altitude (11,150') before trekking higher. Boundless Journeys operates this trip in partnerhip with Mountain Lodges of Peru, who operates the trekking portion of your journey. In Cusco, you will have a local Boundless Journeys guide, specializing in the city's history, culture, and surrouding area. On your trek, you will have a trekking specialist with extensive mountain experience guide you throughout your journey until returning to Cusco on Day 8. Boundless Journeys guests will be included in a group of up to 12 trekking guests throughout the stay in the mountain lodges. 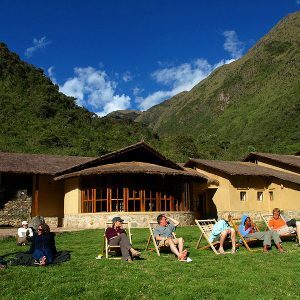 The mountain lodges offer extensive comfort and service to enhance your Andean trekking experience. 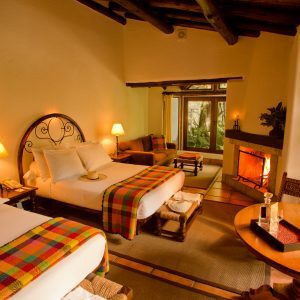 The lodges provide private rooms in authentic Andean style with full bedding, hot showers, and electricity (powered by generators turned off at nighttime). Some lodges offer the luxury to soak your muscles in an outdoor hot tub with incredible Andean views, or a soothing sauna. Purified drinking water and spring water are provided, in addition to tea, coffee, juice and soft drinks. Alcoholic beverages are available for purchase at the bar/lounges. A limited Wi-Fi connection is available at each lodge, also equipped with a satellite phone (for emergency purposes only). We are supported in the trek by a team of pack horses and their handlers, or arrieros. They will carry our luggage, except for the items packed in your backpack (for example, water, camera, and an extra layer of clothing). Our luggage will be delivered to the next lodge before our arrival each day. Peru's geography is as diverse as its culture, with altitudes from sea level to over 22,000'. Our trip begins and ends in Cusco, which is situated at 11,150', in the foothills of the Andes. Our first night in the mountain lodges immediately following your stay in Cusco is located at 12,690', where the trek begins, then ascends up to 15,213' before descending into the Santa Teresa River Valley. Elevations are noted along with each day's description. Our sixth hotel, in the town of Machu Picchu Pueblo, is located at about 6,500'. There is time to move at a comfortable pace, while taking regular breaks, allowing ourselves to adjust to the mountain air. Keeping well hydrated, avoiding excessive alcohol, eating lightly but frequently, and getting plenty of rest will help with any effects of altitude that you may feel. We highly recommend spending at least one additional pre-tour night in Cusco to help acclimatize to the altitude before beginning your trek. You may request additional nights at Hotel Novotel through Boundless Journeys. The mountainous areas of Peru have pronounced rainy and dry seasons, which are more responsible for the prevailing weather conditions than seasonal temperature fluctuations. The dry season lasts from May through September and the most significant rains fall from January through March. Temperatures do not fluctuate much throughout the year, although nights do tend to be colder from May through September, and nighttime frost and some snow is possible at higher elevations in July. Any time of year, dressing in layers is a good strategy, so that you can shed or add layers as the day heats and cools. 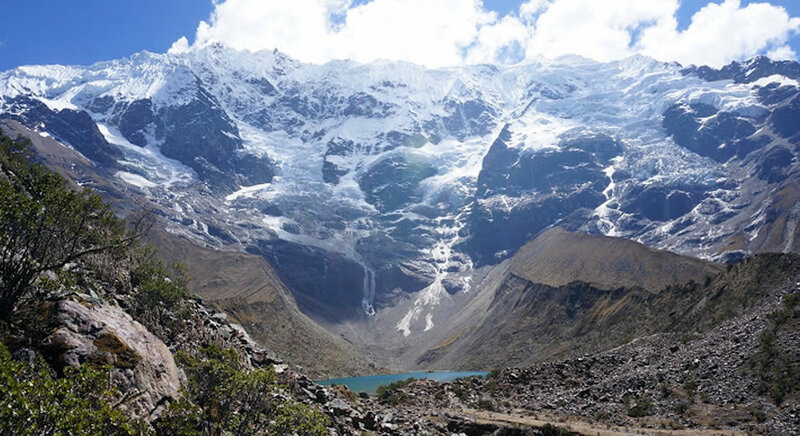 The Salkantay trek passes through nine different bio-zones and reaches elevations of more than 15,000 ft. (4,572m). For this reason, it is important to be prepared for all kinds of weather, from cold weather of 32 degrees Fahrenheit (0Â° Celsius) to temperatures of up to 86 degrees Fahrenheit (30Â° Celsius). Average daytime temperatures in and around Cusco generally range from 55Â°-75Â° F (13Â°-24Â° C) with evenings cooling down into the 40s and 50s (5Â°-10Â° C). Jackets are necessary at night any time of the year in Cusco and surrounding areas. Peru is generally delightful for hiking from late April through December, with the clearest skies from May-September. We avoid scheduling trips from January through March as this is the height of the rainy season. That being said, the hillsides and valleys tend to be greener in April, May and June. Later in the dry season the fields turn golden, and the campesinos harvest their crops. Dinners in Peru feature generous portions of beef, lamb, chicken, or fish, potatoes or rice, and fresh vegetables, such as locally grown avocados, summer squash, and olives. Delicacies such as roasted cuy (guinea pig), alpaca, and ceviche (chilled marinated fish) are available on some menus. Breakfast generally features common continental offerings, cereals made from quinoa, as well as scrambled eggs and sausage. Delicious hearty soups are also a staple of Peruvian meals, and are often available for breakfast, lunch, and dinner. Vegetarians can be accommodated with advance notice, though choices tend to be more limited. 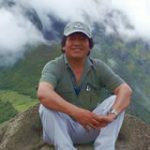 Knowledgeable, friendly, and energetic, Wilfredo has been guiding trekking and cultural experiences for curious travelers for over 20 years and has developed a reputation as one of southern Peru’s most highly sought-after guides. 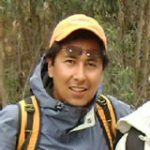 He speaks Spanish, English, French, Japanese, and the native Peruvian language of Quechua. An accomplished musician with three albums to his name, when not leading active cultural adventures, Wilfredo can be found playing, building, and teaching traditional Andean wind instruments, including the Quena and Zampoña. We are thrilled to have someone with such varied skills on our guiding team! The moderate acclimatization hikes on this trip are 3-5 hours at 11,150-13,625â€™ on Days 1-3, with vehicle support on Days 1 and 2. During the trek (Day 4-7) we will have no vehicle support. The hikes during this time are more strenuous due primarily to altitude through Day 5 (9,414â€™-15,213â€™) combined with overall length (5-7 hours per day). The trails are generally in good condition, with some loose rocks, mostly gentle ascents and descents, with some steeper sections.